Lowest Prices for the best patio accessories from Boone Outdoor. Sports Fan Telescoping, Fiberglass, Multiple Flag Pole by Boone Outdoor Hardware part number 94999 can be ordered online at etrailer.com or call 800-298-8924 for expert service. Running your colors up the flag pole has never been easier. 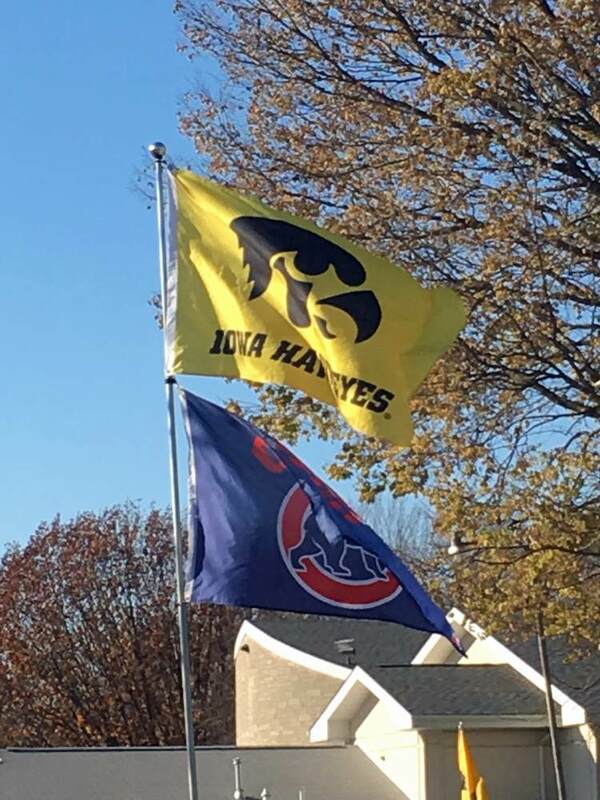 If it will wave two flags then it should be a Sport's Fan Flag Pole, right? Today we are going to show you part number 94999-53. 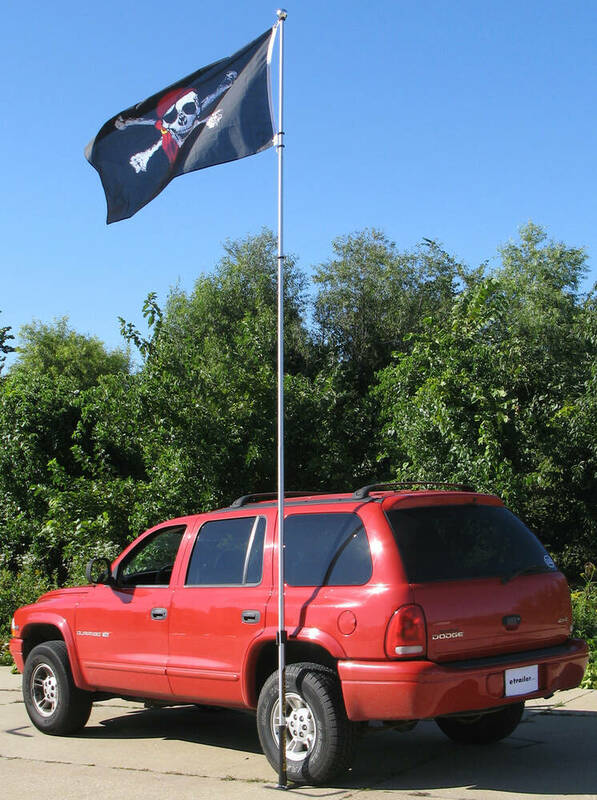 This is Sports Fan Telescoping Fiberglass Flag Pole with the Drive-Up Base. And also remember, these are sold separately because you may have something that you use for a flag pole already, and the base would be a perfect mount for it. Number 79553, the Flag Pole Base, and on the left-hand side you see part number 94999, the actual fiberglass flag pole that matches the base. Next we will go ahead and assemble the base and show you how it works. And it is pretty simple. And we will also install the flag pole for it, also. The base itself comes in three separate pieces. You have the actual base that sits on the ground, where a tire holds it in place, and this tube here, which actually holds the flag pole in place, and also the little thumb screw that keeps everything together. And also, to complete the assembly, it comes with its own carrying bag for easy storage inside your vehicle. All right, it is pretty simple to put together. You pull out this pin, install the tube, put the pin back. Make sure you back off the set screw, and then install the matching flag or flag pole of your choice. Push it all the way down and then just go ahead and reinstall the set screw. At this point, the flag pole and the base are ready to be installed underneath the vehicle. 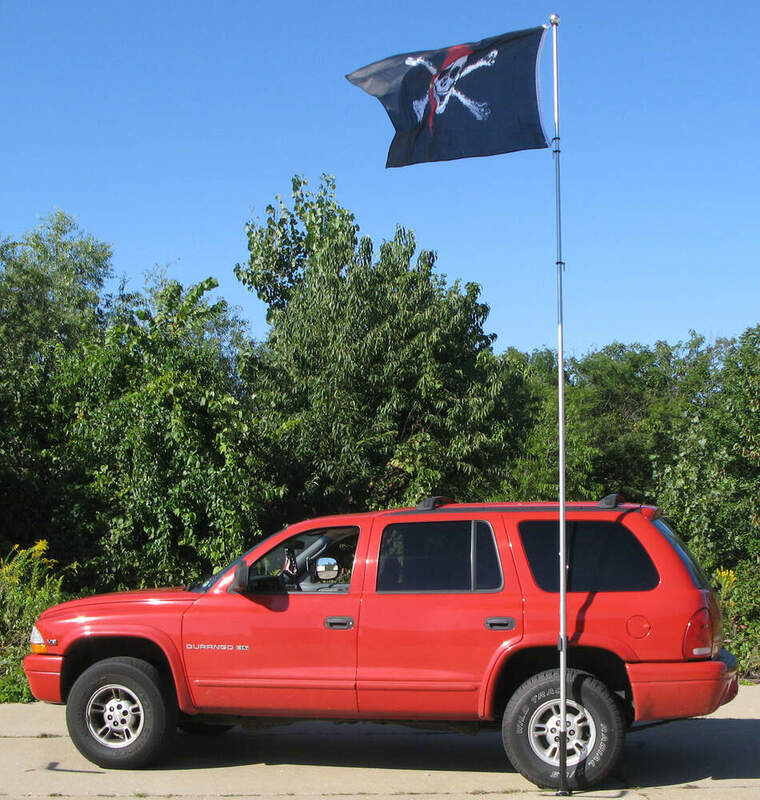 All right, once you have found a place to go tailgating, go ahead and set up the flag pole. It is really simple. Just put the base of the flag pole where you want it and simply back the vehicles tire right on top of it. Once you get the flag pole into place, one other next detail that the base comes with is this little protection pad. Basically, you wrap it around the flag pole to keep the flag pole from bouncing around and chipping the paint on your car. At this point you can go ahead and install the flag of your choice. It has got some nice, easy-to-use clips. Okay, then just ascend the pole and at the end of each section just give it a twist and it will lock into place. It has to go all the way up to tighten. 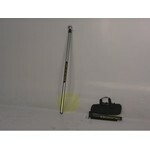 This is Sports Fan Telescoping Fiberglass Flag Pole with the Drive-Up Base, part number 94999-53. The Flag Pole is working great. I had the shop build be a holder for it that puts it about 3 feet behind our big rig and it slides into a pipe at about four feet off the ground, thus putting the flag way above the top of the coach. The last year we were half time in Austin, TX, and are South of Phoenix AZ. Have had a lot of wind with a 3 by 5 flag and the pole has functioned flawlessly. Am very happy. Do you have a question about this Patio Accessory? According to our friends at Boone Outdoor Hardware, the bottom diameter of the telescoping flagpole is 1.6 inches. The flagpole is available separately as part # 94999. A drive-on base is also available, part # 79553. 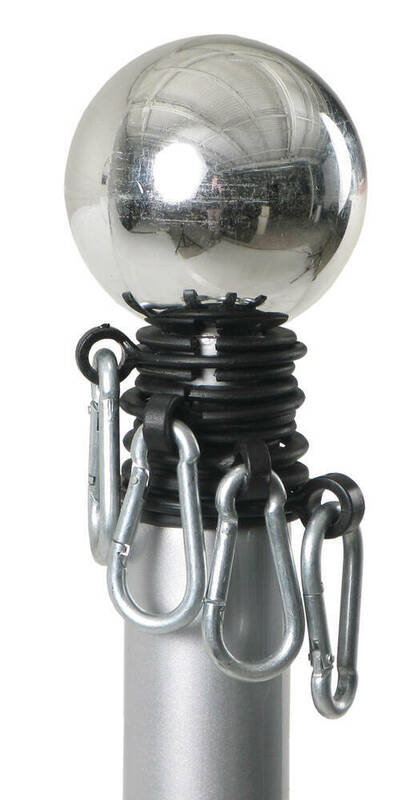 The pole itself for Sports Fan Telescoping, Fiberglass, Multiple Flag Pole # 94999 is a little less than 1-7/8 inches in diameter so it will fit your Camco base. I have included a link to a video review of the flag pole for you. No the flag pole itself # 94999 does not have a carrying bag. When collapsed it is still relatively tall so if you looked for a bag it would have to be larger that 49-1/2 inches. The base, # 79553, sold separately, does come with a carrying bag. Notes: The pole has a couple scratches on it and the ball is scuffed a little. Highest quality patio accessories for the best price. Most detailed, accurate patio accessory information available.